Mornings at Collateral Repair Project can be slow, but not for Lubna. As soon as the first programs start at 10 a.m., anywhere from 10 to 30 children gather in the brightly lit green room where we hold Daycare. The room is small, but cozy, the heat of 10 small bodies keeping it warm as the day begins. Lubna will work all day with the children of families who come to CRP for adult programs and classes. But it’s not just the adults of the families who are learning; Lubna has enriching activities for the children throughout the day. Today, the lesson is working with play dough to learn about colors, shapes, and animals. Before lunch, children enjoy learning about shapes, animals, and colors with play dough. After spending time outside in the morning, the children begin their lessons with Lubna. 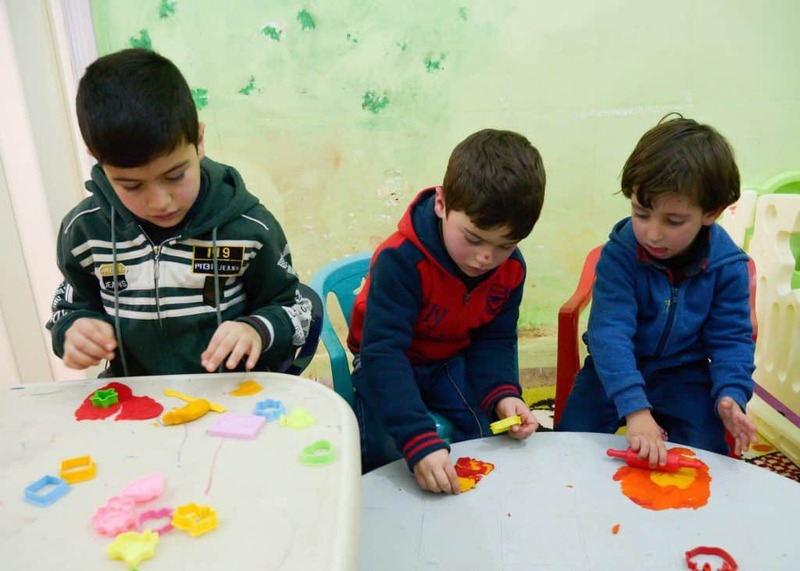 Together, they work on crafts to help them learn both the Arabic and English alphabet, the days of the week, the hours of the day, the five senses, and how to color. After the lesson of the day, the children have a meal. Lubna emphasizes the importance of hygiene and shows the children how to properly wash their hands and set the table to keep it clean from food residue. After their meal, the children are free to work on projects of their choosing. One of their favorite activities is playing soccer outdoors when the weather is nice. When the weather does not allow the children to play outside, they enjoy making food together such as pizza or macaroni. The preschool-aged children who come to childcare lack access to early childhood education. Many don’t even have basic toys like crayons and coloring books at home. 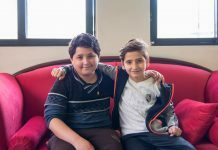 CRP offers these children an opportunity to stay on track with other children of the same age, ensuring that their time as refugees does not inhibit their educational opportunities. 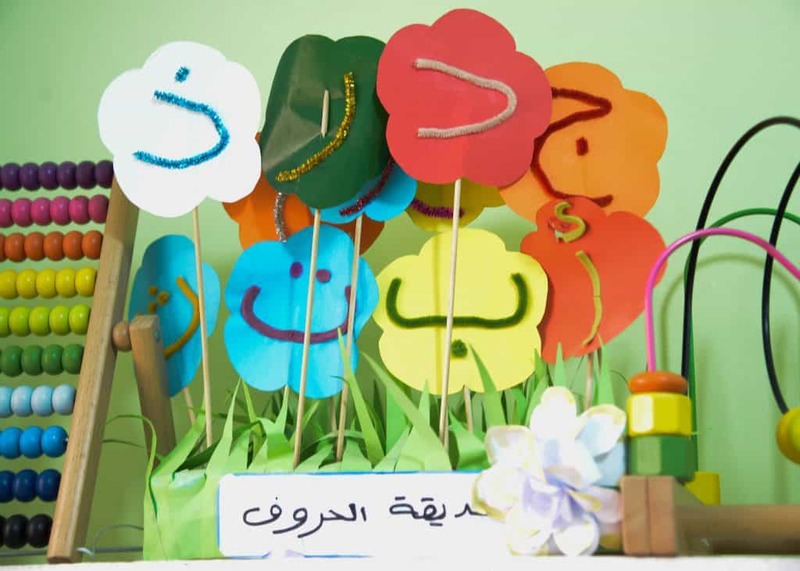 “The Letter Garden” is one of the crafts that help the children learn Arabic letters. 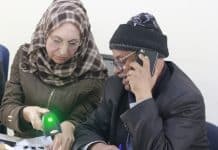 Lubna takes care to diversify the programs every day. “It’s very important for the Kindergarteners . . . they have to have a place with other children to learn and have fun.” She explains that in addition to offering the children educational enrichment, the Daycare provides a way for families to allow their children to safely socialize with others and learn age-appropriate skills. 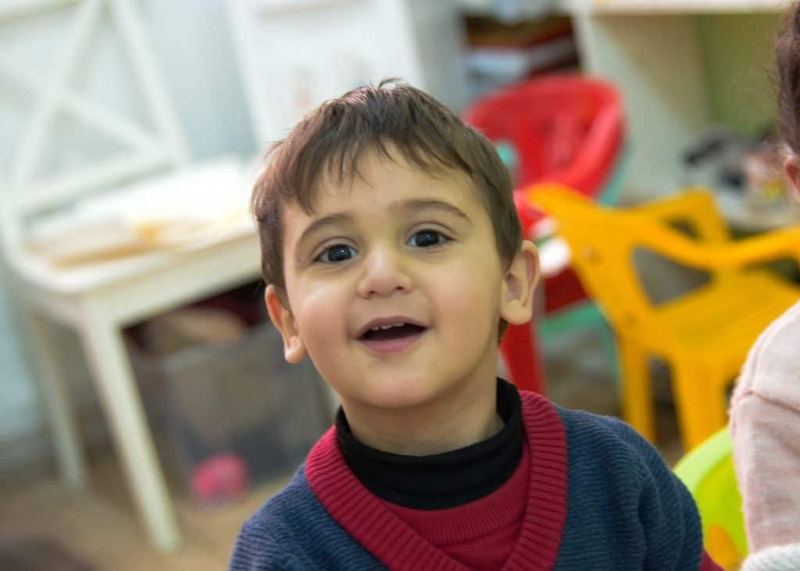 Most places in Jordan make parents pay high fees for child care, so the free Daycare at CRP allows the parents to attend classes while their children learn about animals with play dough and practice their cooking under Lubna’s careful supervision. While some of the programs change every day, important lessons are repeated every day to create healthy habits. The children might only spend one or two days learning about the four seasons, but every day they sing songs together, wash their hands, and play outside. Lubna hopes that these small habits will stay with them beyond CRP and support their emotional health for the future. Just because their families don’t have access to the same kind of schooling doesn’t mean these children don’t deserve a chance to explore their interests, which is why Lubna has made the Daycare at CRP more than just a place for the children to wait for their parents. Donate today to CRP to support this important program and help vulnerable refugee children learn at a critical age.